Detail of painting from life by Jean Guerrin, Nathan Dolfs Famous Composers. The youngest child and only surviving son of freemason, Leopold Mozart, Joannes Chrysostomus Wolfgangus Theophilus was born in Salzburg in 1756, He showed early precocity both as a keyboard-player and violinist, and soon turned his hand to composition. Mozart composed a number of masonic pieces. When his father received his masonic Second Degree Wolfgang wrote "Fellow Crafts Journey (Op. K468) to honour the occasion. For lodge Zur Wohltatigkeit he wrote "Opening Ode" (Op. K483) and Closing Ode (Op. K484) His last masonic work (Op. 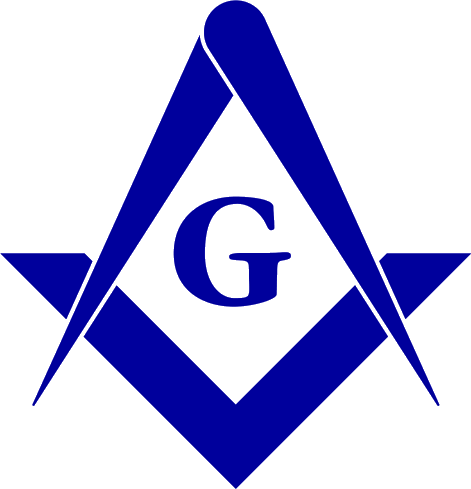 K623) was written for the dedication of a masonic temple in Vienna on November 15, 1791. 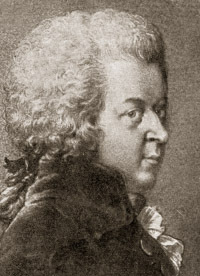 Mozart was essentially an operatic composer. His last stage work, "The Magic Flute", an opera with strong hermetic themes, was running with success at the time of his death.